UNE Associate Professor in Mathematics Education, Pep Serow believes teaching is a job you never finish. Teaching, she says, is bigger than a job, and there is still a long way to go when encouraging people to consider teaching as a career. “I still think there is this sense that teaching is something you do because you didn’t do the chosen thing you wanted to do. That needs to change,” she said. 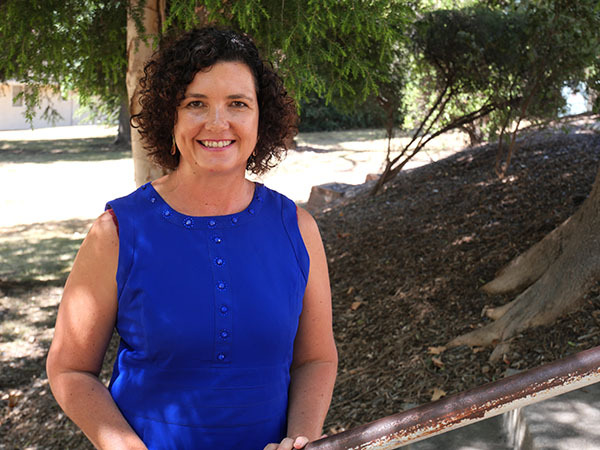 In the classroom, A/Prof Serow is encouraging teachers to embrace technology to assist in the development of children’s understanding of mathematical concepts. “The world is changing so quickly. Children used to just bring a pencil case to school, now they bring a mobile device," she says. “So we have to get with the program and embrace how we can use technology to our advantage within the school system rather than a distraction. A/Prof Serow’s academic life has recently taken her to the Pacific Island of Nauru where she is helping build the teaching capacity and quality. “They wanted better role models for the children of Nauru and to do that they needed to build their own education and teaching capacity,” she said. A life in academia was not always on A/Professor Serow’s ‘to do’ list, she spent many years in the classroom, teaching in rural and remote schools. “My father was a chemistry and physics teacher, he actually taught me in year 11 and 12 which I loved,” she said.